Legendha Sukhothai Resort is painted by the backdrop of Wat Chang Lom, an ancient pagoda of elephants, located just right behind the resort. Legendha Sukhothai Resort is set within the old town of Sukhothai surrounded by the ancient ruins and is only 900 meters away from the Sukhothai Historical Park, the ruins of Thailand first capital which was declared as a World Heritage Site by UNESCO. The resort is also closed to fresh food market, Big C supermarket and local business area. Conveniently located in a short walking range to the world heritage, the Sukhothai Historic Park. Moreover, 'Wat Chang Lom', an ancient pagoda of the elephants, is situated just behind our convenient resort. 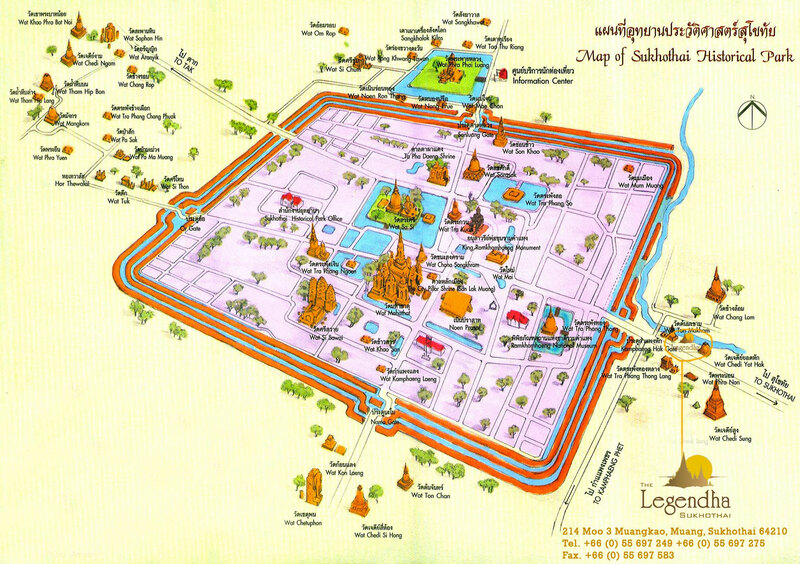 Legendha Sukhothai Resort is the closest resort to Sukhothai Historical Park. Perfectly located on the bank of Mae Rampan Canal, premier resort in pristine nature with superior service and long culture heritage also is situated in a center of world heritage one of most exotic and fascinating areas. Also close to all government offices, village fresh market and local business area. Also near the world heritage treasure. The resort provides a picturesque setting for your vacation. Relax in the misty charm of heritage world treasure, the spacious and well-equipped suite with panoramic canal view. Take a dip in the swimming pool with jacuzzi and enjoy personalized service with attention to detail. Here, delicious food is prepared and served, against the backdrop of Thai art and culture, combined with ethnic tradition of the real Thai, perfect harmony with distinctive charm created.